You are here: Home / A-Blog / Stocks Record Highs! The Nasdaq composite climbed one-third of a percentage point, hitting intraday and closing records. Shares of Amazon rose 2.6 percent. The S&P 500 also closed at a record high of 2602.42, a 0.21 percent gain. Shares of retail giants like Macy’s, Nordstrom, and Kohol’s all rose. Shares of Target fell. The Dow Jones Industrial Average rose 0.14 percent, closing just short of its record high. 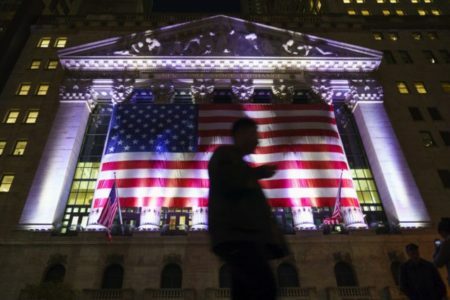 U.S. stock markets closed early Friday for the Thanksgiving weekend. Investors have a lot to be Thankful for this year given the post-election boom in stocks. The Dow is up by around 31 percent since election day 2016, the Nasdaq by more than 36 percent, and the S&P by almost 25 percent. Across the Pacific, investors had a rougher time. China’s blue-chip stock index suffered its biggest decline in 17 months, as investors feared a government crackdown on speculation. The broader Shanghai composite index was up 8 percent, however.